Our company specializes in kinds of medical scrubs, hospital nursing uniform scrubs, surgical scrubs, medical jacket, lab coat, smocks, nurse wear, nurse dress, scrub pants and warm up jacket and other medical wear. Description for this style: -Unisex Lab coat with two front pockets and one chest pocket, side access and trio utility loop. -Fabric: In 65% poly and 35% cotton or 100% cotton, plain or denim,5.6 ozs, 6.2 ozs and 6.5ozs per square meter are available. Crease resistant, brushed or non-brushed. 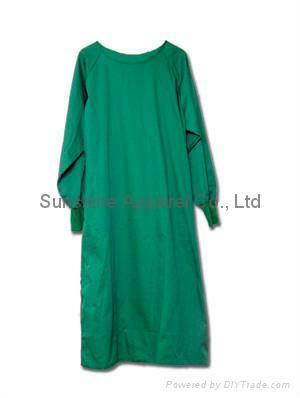 specifications︰ Our company specializes in kinds of medical scrubs, hospital nursing uniform scrubs, surgical scrubs, medical jacket, lab coat, smocks, nurse wear, nurse dress, scrub pants and warm up jacket and other medical wear.